Today I've released yet another PSX add-on: PSXseeconvPilot, a simple tool for flying on-line with PSX on the VATSIM network, using vPilot. • from FSX/P3D -> PSX: it injects the VATSIM traffic in FSX/P3D (injected by vPilot), that is nearby your 744, into PSX to be displayed in the Captains Navigational Displays (TCAS). 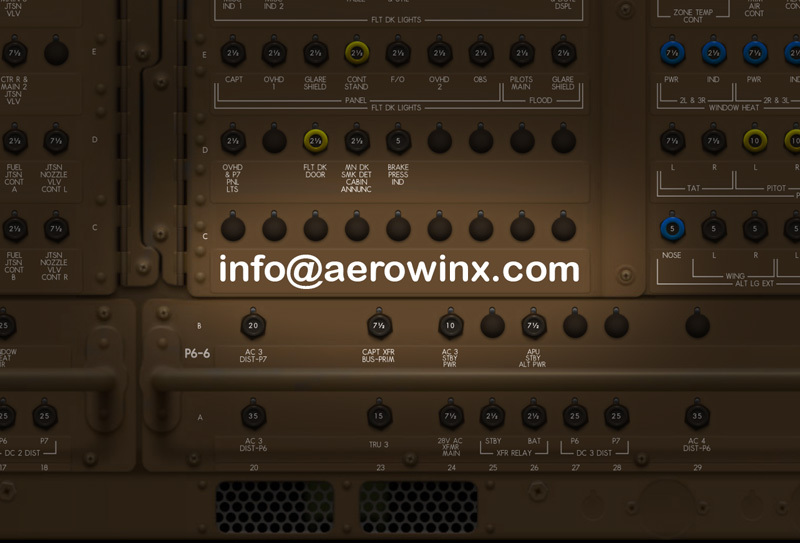 • from PSX -> FSX/P3D: it sends PSX's VHF-L, VHF-R, Transponder Mode, Transponder Code and Ident to SimConnect variables in FSX/P3D. vPilot will read these variables. PSXseeconvPilot works with all versions of vPilot, in FSX and or P3D (version 2.5 or later). More information, the download link and a Manual can be found at my web site. Is this a candidate for the Add-ons webpage? you wrote that the traffic will be displayed on the Captain's ND. both pilot's TCAS displays and alerts (ND, PFD, aurals), collision detection (crash), and outside view. No, you still need VisualPSX as Scenery Generator; but instead of TrafficPSX configured for vPilot, you could use PSXseeconvPilot. Sending traffic to PSX is as with PSXseeconTraffic, it is exactly the same program code, so the answer is Yes. You're right, I'll remove the word Captain's from my documentation. No that's not possible, you need a scenery generator, because it provides the Simconnect variables that PSXseeconvPilot writes and vPilot reads (and vice versa). EDIT: Note that it will still work without VisualPSX, but you certainly need FSX or P3D. vPilot will also not start without FSX or P3D. In summary: You can fly on VATSIM without visuals (so PSX only) but one always needs FSX or P3D. CORRECTION: You need P3D or FSX. If you want to have Visuals you can of course use VisualPSX, but any other program with the same functionality would do. But at the moment I'd recommend VisualPSX. @Hardy: Could you update your PSXseeconvPilot description at your Add-ons page accordingly? Thx! @Hardy: Could you update your PSXseeconvPilot description at your Add-ons page accordingly? Help! I cannot get the client to pick up P3D as my scenery generator. I am using P3D.external and not VisualPSX. I have now managed it by putting the simconnect.xml file i found into the correct place and changing the IP to the PSX one. Though my next problem is Vpilot thinks my radios are off when they are in fact on. Back to the drawing board. ATM I use TrafficPSX to connect with Vatsim/vPilot. As Garry isn't supporting it anymore, I'm concerned that the next vPilot update will break the connection and so I would like to get comfortable with PSXseeconvPilot. I wanted to make sure that it will run on a networked install as I use TrafficProxy on the Sim machine, and vPilot and TrafficPSX (to be replaced by PSXseeconvPilot) on a networked support machine? If you are referring to vPilotv2 in any of its iterations, Version 2 has been working absolutely seamlessly alongside the Gary Richards suite since RTM - just as Version one always did. I see no reason why any future RTM would 'break' any connection. I wanted to make sure that it will run on a networked install as I use TrafficProxy on the Sim machine, and vPilot and TrafficPSX (to be replaced by PSXseeconvPilot) on a networked support machine? I am trying to download PSXseeconvPilot however when I click on the download link at your site it says file not found? Works great! Thanks so much. I am having an issue with PSX.P3D.ExternalSim and PSXseeconvPilot working together. When I use PSX.P3D.ExternalSim for my visual scenery generator, and use PSXseeconvPilot, I can connect to VATSIM, but have NO voice ability- i.e. I cannot select the frequency and speak to the controller. To do that I have to use TrafficPSX. If I use PSXseeconvPilot to control my radios there is the VATSIM connection- but NO voice. If I use TrafficPSX to control my radios- all works correctly. Is there something I am doing wrong, or is there a configuration I need to make to allow PSXseeconvPilot to work correctly for me?